Are you looking to promote your business somehow or do you need any big poster to show that your business is what? Our company has those big printers and with them. We make magic real. We are providing you with huge posters that you can use them to promote your company. And business for everyone to see. With as always, an easy-to-use website that will give you the creative freedom of printing whatever you want and as big as you want it. Providing you with banners, canvas, and stickers of the highest quality is our job. With our amazing big printers and the quality ink we have. We can provide you a certain type of quality that isn’t comparable with our competition. The printers are optimized for the big job, to create the banner that can’t be missed by the people who are walking by it. You can either use this opportunity for your business to make it grow. And draw in flocks of new customers with your big banner or poster and with it give you the opportunity to grow your business and expand it in more than just one area. After all more clients mean more money, and to get more clients you need quality promotion which we can provide with our banners that are printed in high quality. But maybe you don’t have a business yet, maybe you just want to bring some new fresh item into your house and make the atmosphere a bit more welcoming or interesting. 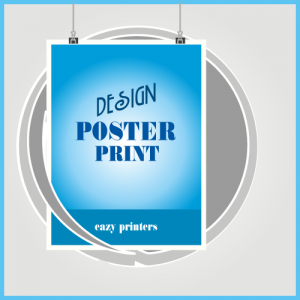 We don’t know what you like but we support everything and will print your custom design poster the way you wanted it and the way you made it. Do you know that amazing drawing your kid made when he was younger? Why not have it as a huge picture on the wall? Or maybe you want a big picture of your great grandparents in black and white hanged in some room in the house? Well think no more and check out our options and what you can do with the images you want to print bigger.